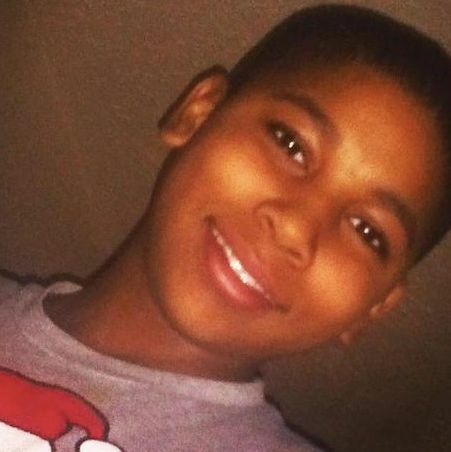 The family of Tamir Rice — the 12-year-old who was fatally shot by a Cleveland police officer while playing with a toy gun — recently filed a wrongful death lawsuit against the city and the two cops involved in the shooting, Frank Garmback and Timothy Loehmann. The lawsuit, which includes at least 27 allegations, accuses Garmback and Loehmann of excessive force (Loehmann fired at Tamir within seconds of pulling up to him), indifference to the boy’s medical needs (he lay bleeding on the ground for almost four minutes before someone arrived to give him first aid), and notes that officers tackled and pushed Tamir’s 14-year-old sister as she tried to attend to her brother. The Rices’ lawyers also claim that Cleveland has been “withholding substantial evidence and information” and that the city has failed to properly investigate the incident. On Friday, Cleveland responded to the lawsuit. Unsurprisingly, the city doesn’t seem eager to take responsibility for Tamir’s senseless death. In a 20-item defense, Cleveland argues that the Rices “injuries, losses and damages … were directly and proximately caused by the acts of the Plaintiff’s decedent (Rice), not this Defendant.” Cleveland also says that the 12-year-old failed to “exercise due care to avoid injury” and blames “the conduct of individuals or entities other than Defendant” for the shooting.